Rosemarie Lewis, 80, of Trent, passed away on Wednesday, October 3, 2018. Her Memorial Service will begin at 3:00 p.m. on Sunday, November 18, 2018 in the Trent Baptist Church. Rosemarie Madril was born on October 10, 1937 in Fresno, California, to Alfonso and Lucille (Marquez) Madril. She grew up in Riverside and San Jose, California and graduated from Campbell High School. Rosemarie married Ira J Lewis on December 16, 1955 in San Jose, California. Ira was a career Navy man and the couple lived in many places including Monterey, Moffett Field, Coronado, California, White Sands Missile Range and Albuquerque, New Mexico, and finally, Alameda California. While in Alameda the couple divorced. 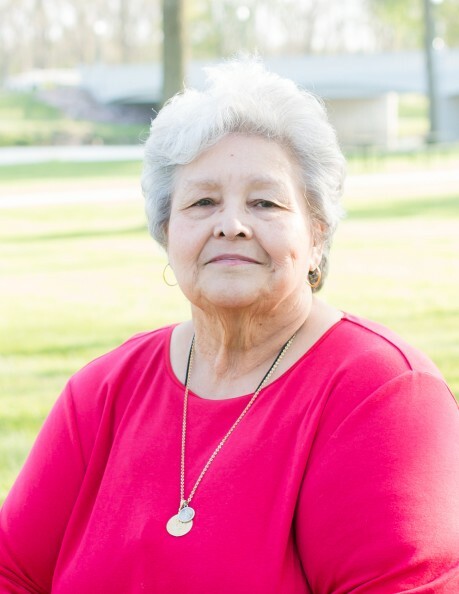 Over the years Rosemarie had many jobs including Short order Cook; Volunteer work for the Navy Relief society, Secretary and avid bowler on many bowling leagues, and she especially loved her many years of working in Banking. After her retirement Rosemarie spent many years living with her daughter Shawn and Dan in Fairfield, California until she finally moved to Trent in 2014. Rosemarie was a member of the Trent American Legion Auxiliary and the Trent Study Club. She loved to spend time Reading, Gardening, Crocheting Afghans and a variety of projects as well as Cross-stitching baby quilts. “Ramblin’ Rose” was very passionate about traveling across country visiting friends and family all along the way. She totally enjoyed her Monday, Wednesday and Friday water aerobics and swim class in Pipestone, MN with the other “Water Lilies”! Rosemarie is survived by her children, Richard Lewis of Trent, SD, Robert (Angyla) Lewis of Trent, SD, Shawn (Dan) Richardson of Fairfield, CA, and David (Lori) Lewis of Imperial, CA; her 11 grandchildren, 16 great-grandchildren; her brother, David Madril of Billings, MT, and her sisters, Gloria Garrett of Santa Rosa, CA and Judy (Steve) Waldrum of Shady Cove, OR; and many nieces and nephews. Rosemarie was preceded in death by her parents, Alfonso and Lucille Madril, her brother Alfonso “Al” Madril Jr, a grandson Christopher Lewis, a great granddaughter Abigail Hefferon Glavaris and great grandsons Mason Lewis and Joshua Lewis.